There's a tug-of-war going on in social media and generally online. On one side, transparency and authenticity are praised and followed, highlighted and rewarded. On the other, it's all fake-it-until-you-make-it. And some weeks, I wonder whether the fakers will win. While humorous fictional Twitter accounts are all the rage, when a political aide for one of the presidential campaigns wields a fake account, the reaction's swift and negative. That's a change from the earlier days of online faked identities, as when the Whole Foods CEO tried to use a fake name to make spurious comments about a competitor, a fact that only came to light in Federal Trade Commission documents years after the fakery. NPR's Andy Carvin used Twitter to uncover a blogger hoax in which a male blogger was posing as "Gay Girl in Damascus" on Facebook and Twitter. Just this month, it was revealed that a staffer for the speaker of the New York State assembly posed as a female blogger in an effort to defend the speaker's payments to settle accusations of sexual harrassment against a fellow assemblyman. Facebook forbids fake names, but estimated earlier this year that some 83 million accounts on the site are fake. (For perspective, that's just 8.7 percent of the total, and Facebook is shutting down tens of thousands of fake accounts daily.) Google+ only recently began to allow fake names, although it still may remove fake accounts under its revised policy. People are even stealing images of families and using them in Internet hoaxes, creating fictional identities with these "instant relatives." A major league baseball player created a fake website to get around drug charges. A scientist used fake emails to do "peer review" on his own research articles submitted to and published by journals. Instead of being accessible, customer service executives use fake middle initials or domains to hide their direct email addresses from unhappy customers. And anyone can use a new app called Please Don't Stalk Me, which adds fake location information to your tweets. But here's a reason to be hopeful: I wouldn't be able to write about these things if the fakery hadn't come to light. It's always useful to remember that journalists are adept at tracking things like your IP address or other indicators that are high-tech dead giveaways. By the way, if you're part of an organization that includes bloggers and online writers, as I am, you can easily request a speaker from the FTC at your next conference. As noted when I wrote about bloggers and brands struggling with the FTC guidelines back in 2010, the FTC has yet to turn down a speaking engagement opportunity in its efforts to spread the word about how to manage within the guidelines, which also apply to things like how and whether you note affiliate relationships or sponsored blog posts. PR Newser debates whether faked reviews are justified as marketing strategy, and compiled reactions from PR pros here--even the chair of the Public Relations Society of America "weighed in to state unequivocally that posting reviews under fake names is unethical and should not be tolerated by any respectable PR organization." 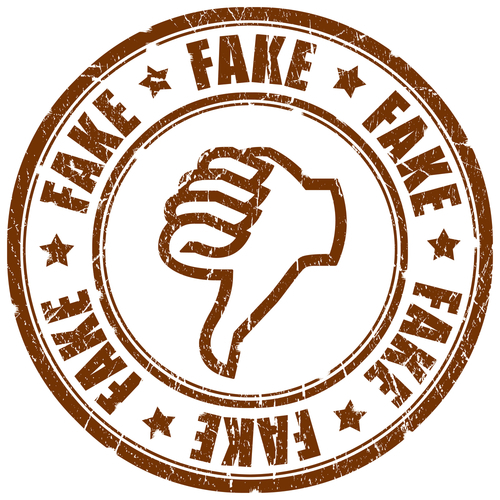 Despite that, it cites a newly released Gartner study which estimates that by 2014, 10-15 percent of social media reviews will be fake and paid for by companies. The most recent brouhaha has been over fake followers, for two reasons: Companies offer ways to pay for thousands of followers, and--perhaps more important--there are new apps allowing anyone to see whether your company's followers are fakes. Let me suggest you use them on your own organization, quick, to see what others are seeing. Mashable offers helpful advice on sorting out your fake followers from the real ones. Don't forget that all your social followers need a scrubbing to get rid of the fakes. I've got more suggestions in my post about putting together a social-media cleanup retreat for your team. Start a discussion within your company or organization about your values on this score. 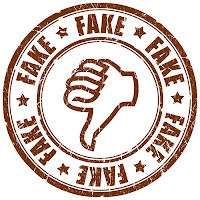 Do you or don't you embrace fake followers, fake accounts, paid reviews? I hope the answer is "We're not that desperate for the publicity." If so, put it in your policies and be transparent about it. Stay up-to-date on the FTC regulations, and do regular scrubs of your followers to get rid of the fakes. What else would you do to deal with the trend towards fakery? Share your thoughts in the comments.